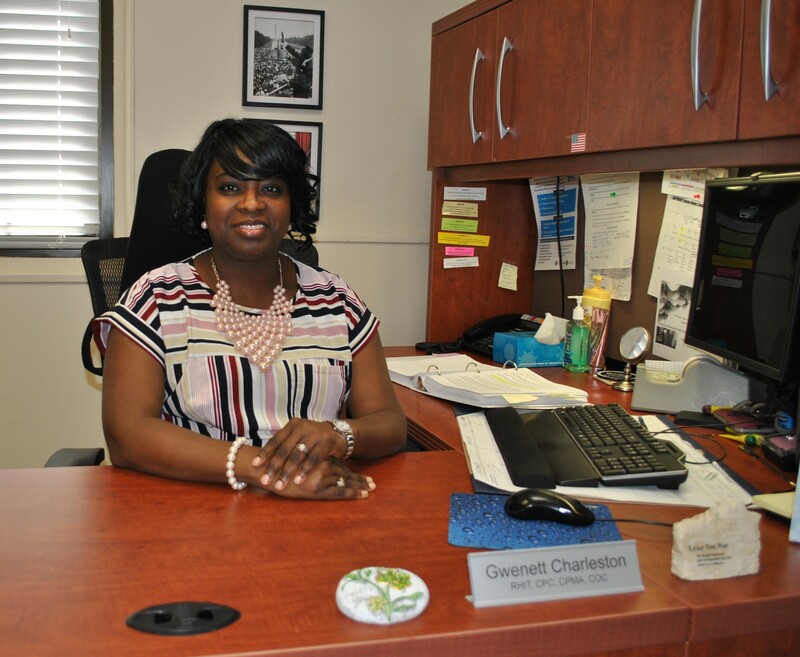 Dublin, Ga., (OFTC) --After graduating from West Laurens High School in 1997, Gwenett Charleston knew she wanted a career in the business side of healthcare. When she learned about medical coding from her friend, the late Mrs. Deborah Well, she knew this was the field for her. Charleston graduated from OFTC in 2000 and began working at Fairview Park Hospital in Dublin as a Medical Coder while she continued her education in pursuit of her associates and bachelor's degrees. “I hope my passion for teaching shines through," she said. Caption: Gwenett Charleston serves in the Health Information Management Department as a Release of Information/Scanning Supervisor at the Carl Vinson VA Medical Center in Dublin.